Our vision is to transform individuals into global citizen diplomats who are empowered to lead us beyond the universal barriers and pitfalls that divide us in order to bring the fruit of reconciliation, peace and hope to humankind. 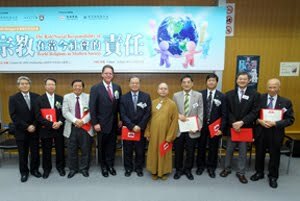 In October 2009, U.S. multi-faith religious leaders visited China for dialogue with leaders of China's five officially recognized faith traditions. The U.S. delegates' faith traditions represented Buddhism, Catholicism, Islam, and Protestantism. Chinese participants included national religious leaders from China's ﬁve recognized faiths (Buddhism, Catholicism, Islam, Protestantism, Taoism), representatives from the Chinese Academy of Social Sciences, Nanjing Union Theological Seminary, and the Shanghai Academy of Social Sciences. The delegation met as well with Chinese Communist Party officials including Minister Wang Zuoan of China's State Administration for Religious Affairs (SARA) and China's foreign minister, Yang Jiechi. 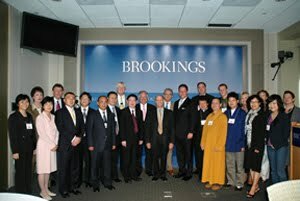 From September 5 through September 14, 2008, a delegation of twelve Chinese religious leaders and government officials visited Atlanta, Georgia, and Washington, D.C. to meet with U.S. religious leaders, as well as leaders from business, government, and academia. The delegation was comprised of China’s five major religions, namely Buddhism, Catholicism, Islam, Protestantism, and Taoism. The Chinese delegation was led by the President of the China Christian Council, Gao Feng, and advised by the Deputy for the State Administration for Religious Affairs (SARA), Wang Zuoan.